Bio: “Then felt I like some watcher of the skies/When a new planet swims into his ken”. Keats said it for me, when I first saw the pastels of David Decobert. 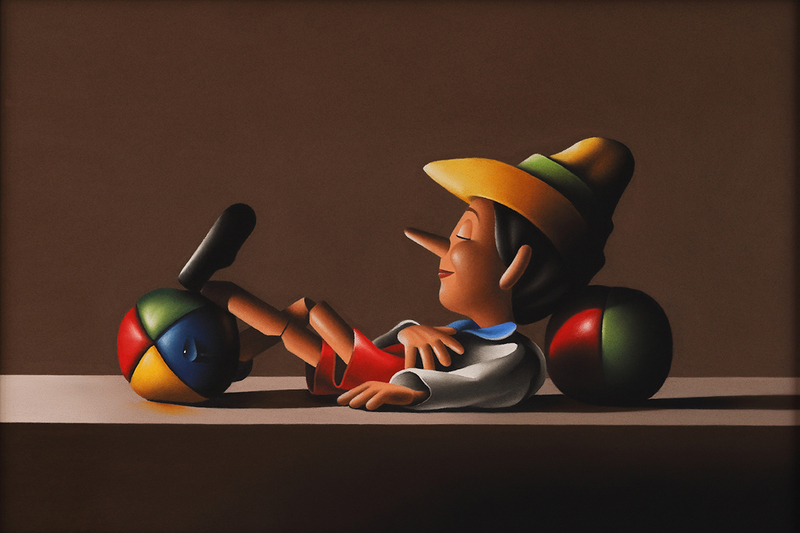 His is a unique talent, his paintings immediately recognisable, humorous and witty, and immensely skillful. David was born in Paris in 1967. Self-taught, he painted his first pastels in the late 1990s. Since then, his meticulous chiaroscuro approach has won him numerous awards. He has been exhibiting since the early 2000s. Subjects : Imaginative Still life. Navigation: The website is in French, but easy to follow. Gallery: Pinocchio; Vies Silencieuses (Silent Lives); Pantins (Puppets).